This Light Award is sponsored by Build My Self Confidence. 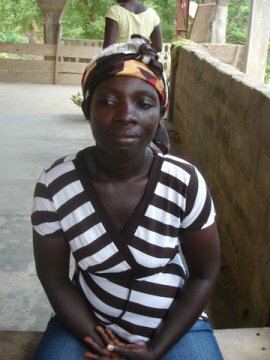 Grace is 33 years old, married and mother of three children who are in school. She lives with her husband and children in a rented apartment in a fishing community in the central region of Ghana. Grace is a rice trader. She supplies rice to food vendors in her community. Grace also treks to nearby towns to supply rice. She buys bags of rice from nearby towns and has been in business for six years. Grace wants a loan to buy bags of rice in bulk so she can supply more customers.